For those of you who have been part of the Lake Heights community for some time, you will be very familiar with our outstanding General Assistant, Mr Bridgement, who commenced his role at Lake Heights some 22 years ago. Mr Bridgement was recently honoured for his service with an Education Week award for Excellence in Educational Support. 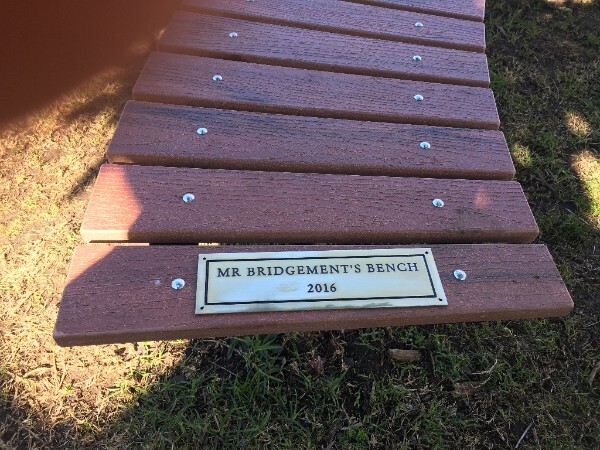 To mark the occasion, we're honouring Mr Bridgement by installing a new bench in his honour. Mr Bridgement's Bench was recently installed under the shade of one of our beautiful trees, overlooking our lower playground. It is a place where students can sit, eat, chat and enjoy time together. 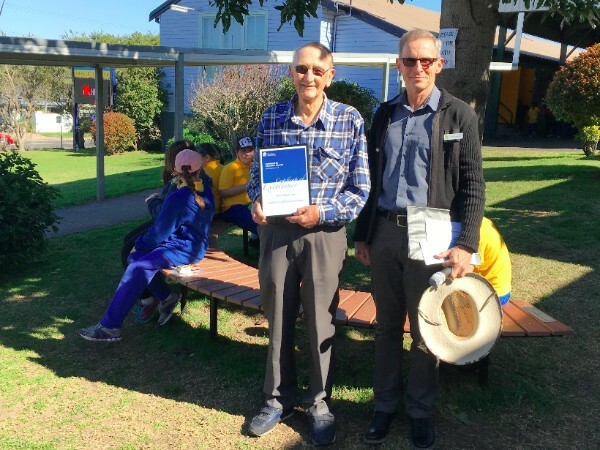 What you may not know about Mr Bridgement is that he began his career, training as a teacher 65 years ago, and at the age of 82, is still working with an inspiring commitment to Public Education. Over that time, Mr Bridgement has worked as a teacher, Assistant Principal, Deputy Principal and Principal at eleven schools across NSW. 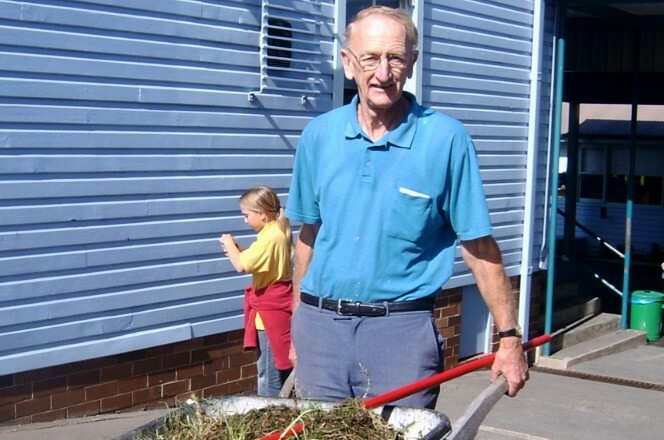 After retiring, Mr Bridgement joined the Lake Heights community as a General Assistant and has shown dedication and talent for his work for over 22 years. Whilst Mr Bridgement has a talent for many things, particularly environmental management, perhaps the most impressive of Mr Bridgement's talents is his resourceful ability to repair almost anything in the most economical way and this has earned him the nickname "Tim the Toolman" around the school. 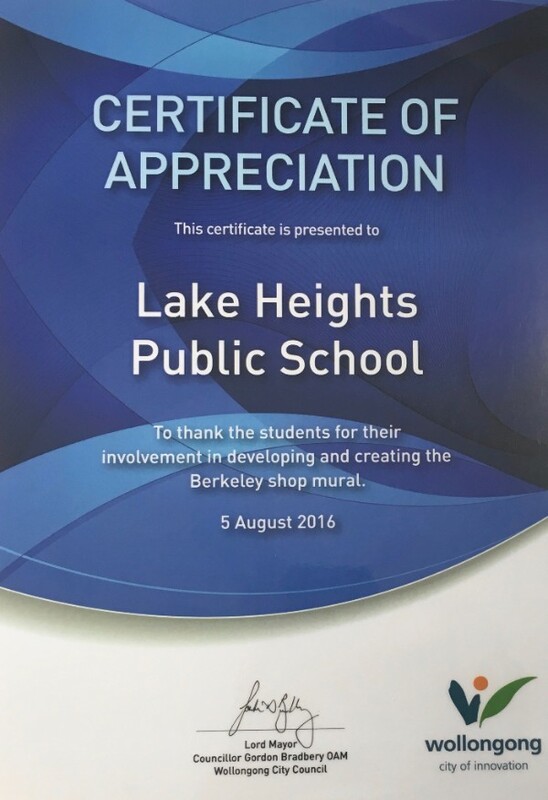 Our entire school community has much respect and admiration for the work that he does and appreciate all of his hard work to make Lake Heights Public School the amazing school it is. Please be aware our school has had a number of confirmed cases of Impetigo (School Sores) over the past few weeks. Students diagnosed with impetigo must be excluded from school until appropriate treatment has commenced and require a Doctor's clearance before returning to school. Sores on exposed surfaces must be covered with a watertight dressing. For more information on signs and symptoms of impetigo, please click here. Don't be late! Students must be at school in time for an 8:45am departure tomorrow morning. See below for more information. Don't forget to check out our Facebook page to watch Year 2's assembly item. Tomorrow is the big day for our Year 4 and 5 students, who are off to experience life as a convict at the Hyde Park Barracks. The bus will depart from school tomorrow morning at 8:45am and will return to school on Wednesday 17 August by 2.30pm. Please ensure that all belongings are clearly labelled and be reminded that students are expected to carry their belongings as they walk around Sydney. For an itinerary and list of essential items, please click here. Don't miss celebrations this Thursday! Finally, it's here! Join us this Thursday for what is set to be one of the most exciting days of 2016. 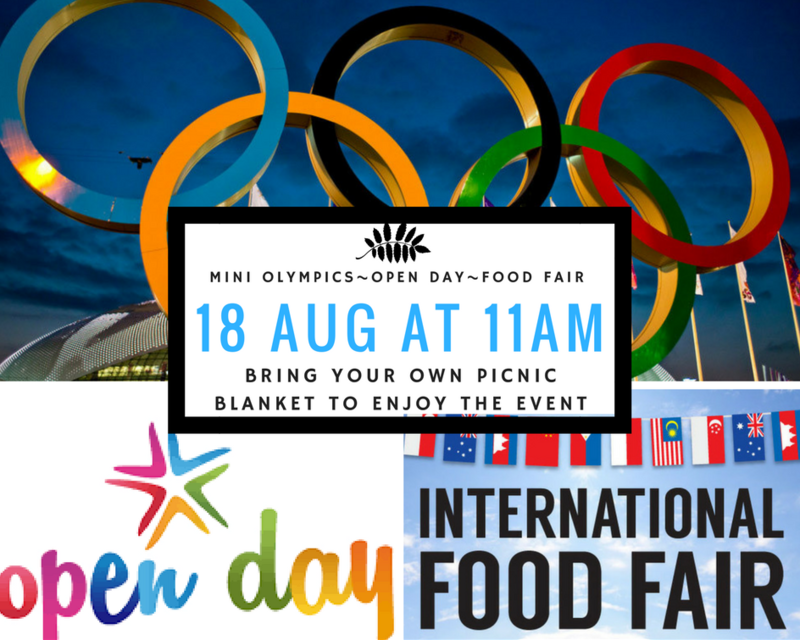 Events kick off at 11am with an opening ceremony and parade of nations around the oval. Each class has chosen two torch bearers and a flag bearer and have been working hard on hats and outfits for the day. Seating will be available around the basketball court, or bring your own picnic blanket or fold up chairs to enjoy the day. Students will compete in a range of events including Noodle Throw and Balloon Tennis, with a medal presentation scheduled for after lunch. Don't forget to bring along a dish to share on the day. Food can be dropped off to members of the P&C in the kitchen from 8:45am. Hot food should be brought in foil trays to be warmed in ovens, or in crock pots. Cold storage and freezer space are also available if required. Lunch will commence at 1pm, followed by a medal ceremony and classroom visits. 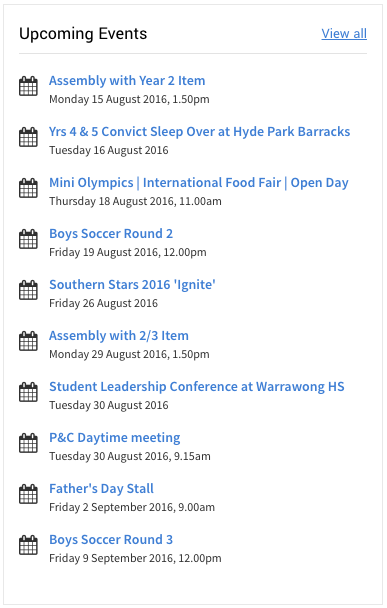 Parents are welcome to take children home after visiting their classrooms for Open Day. Students have worked hard to create some impressive displays and the classrooms are definitely worth a visit. We hope you can join us to celebrate multiculturalism at our school! Have you seen our new seating area? Along with the wooden bench installed over the holidays, now named 'Mr Bridgement's Bench', we have recently installed some new seating in our eating area. 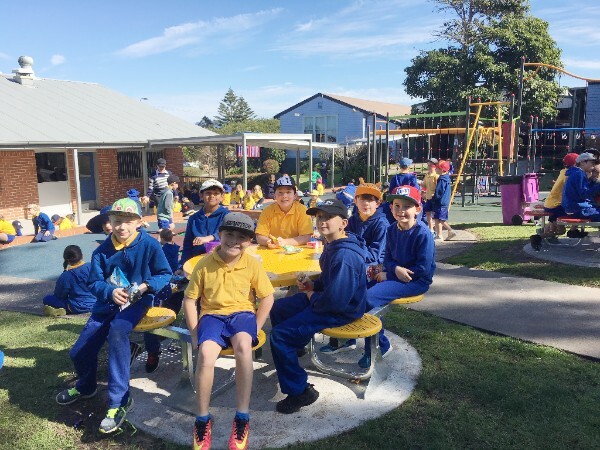 Our students are loving enjoying their recess and lunch on the new colourful seating and we think they look fantastic too!